Competency assessment completed by a nurse immuniser or medical practitioner. 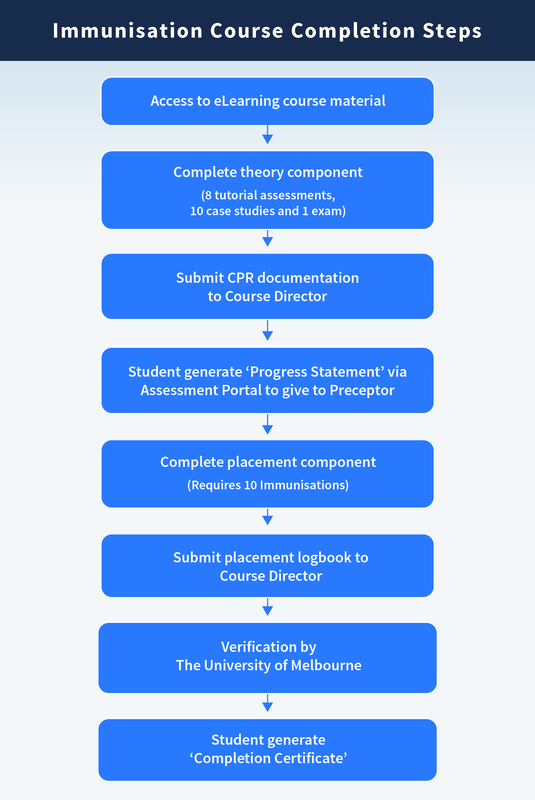 The assessment is submission of the course interactivities included in the course tutorials (pass/fail), 8 units of self-assessment, 10 case studies and an exam (80% pass mark). Course completion requires 150 hours of eLearning and 10 hours of clinical practice. Placement to be arranged by the student with a local immuniser.